Worcestershire fought back after lunch to restrict Sussex to 289-8 on the opening day at New Road as both sides battle to avoid relegation. After Alan Richardson and Kemar Roach made early inroads to reduce Sussex to 25-2, Joe Gatting (70) and Murray Goodwin rebuilt with a stand of 134. Once they fell, the hosts took regular wickets as Sussex slipped to 234-7. But Ben Brown (53 not out) dug in to guide his side to 289-8 before bad light ended play. With both sides currently outside the relegation zone but needing points to try and avoid the drop, it was a nervy opening day as Worcestershire put down a couple of catches while Sussex failed to convince with the bat, the stand between Gatting and Goodwin and Brown's effort apart. After Richardson clipped Ed Joyce's leg bail and Roach ripped out Chris Nash's off stump as Worcestershire enjoyed early success, Gatting and Goodwin enjoyed some fortune as they built Sussex a good platform. 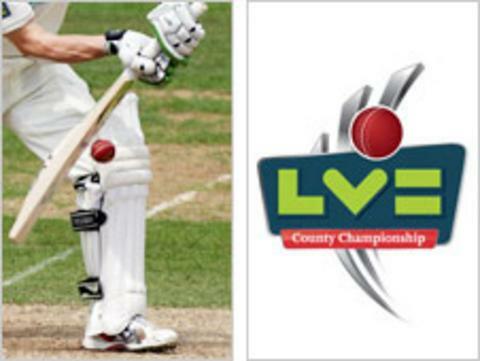 But both fell in successive overs as Goodwin was caught by Vikram Solanki at second slip at the second attempt off Gareth Andrew before Gatting edged Richard Jones through to wicketkeeper Ben Scott. Matt Prior and Michael Yardy both fell to catches at cover and Moeen Ali bowled Will Adkin, before Brown helped rescue the situation with a stand of 40 with Amjad Khan, who was caught in the leg side off Richardson in the second over with the new ball. "A topsy-turvy first day, Sussex throwing away a good position with some not very good batting, one or two will look back at the video and the way they perished. "Brown did well with the tail to help him, and could yet take Sussex to a decent total, although what a good score might be remains to be seen as it's a better pitch than the one for the Lancashire game a week ago. "Richardson, as ever, bowled enthusiastically, Roach was threatening, but for once the Worcestershire fielding let them down and was not up to the usual standard." "Sussex will be disappointed to have lost their way from 159-2 with Murray Goodwin and Joe Gatting playing loose strokes to get out when in command. Both men were dropped and should have made more of their opportunity. "The middle order didn't apply themselves well enough and, for what was on offer for the bowlers, Worcestershire will be delighted that they picked up so many cheap wickets. "Ben Brown played a very attractive innings but a total of around 300 may only be par on an easy-paced pitch."